LEED v4 is mandatory starting November 1. 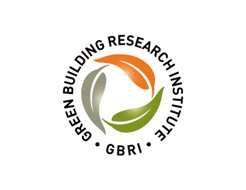 To ensure all of our members and friends know the latest and greatest, USGBC-Illinois has partnered with GBRI to offer this great, 1-hour, LIVE webinar on December 2. Join us to learn everything you need to know about LEED v4 Supply Chain-related prerequisites and credits - and earn your LEED-specific continuing education credits, too! This 1 hour course will allow participants to learn how supply chain sustainability impacts us as professionals and the environment. Identify the role of the Supply Chain in the new LEED v4 rating system. Highlight major themes of the LEED v4 Supply Chain related prerequisites and credits. Leave with action steps you can take today to impact your business and environment.